New York, NY - Today, Mayor Bill de Blasio, Deputy Mayor Alicia Glen and Department of Small Business Services (SBS) Commissioner Gregg Bishop announced the launch of the Women Entrepreneurs New York City (WE NYC) Portal, a digital one-stop shop for small business owners. 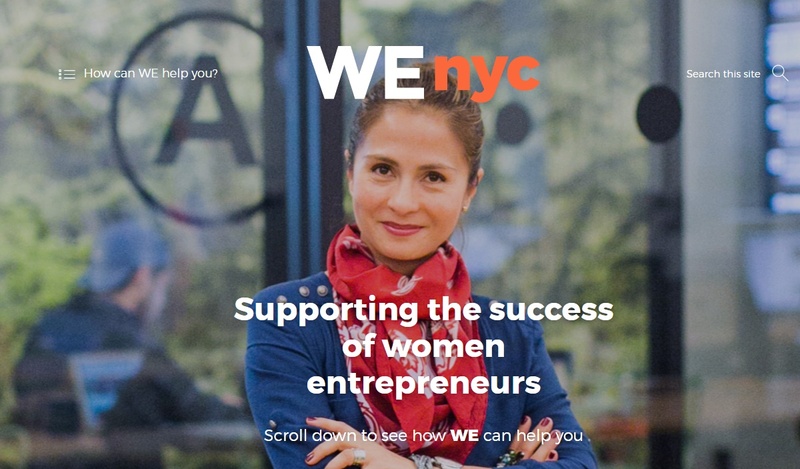 As part of the broader WE NYC initiative, the first of its kind in the U.S. to address the gender gap in entrepreneurship, the portal provides women with the necessary resources for managing a business. Within the portal, women entrepreneurs have access to how-to-guides for starting a business; a directory of organizations that support entrepreneurs; a searchable database of courses and professional development events; a map of women-owned businesses; question and answer tools to interact with mentors; and narratives from successful business owners. WE NYC partnered with Blenderbox, a digital design firm to develop the online portal. Throughout the process, Blenderbox hosted user testing sessions for groups of diverse women representing different industries, backgrounds and boroughs online and at Blenderbox headquarters in Brooklyn. Participants had the opportunity to explore the portal’s offerings, find upcoming courses, connect with fellow business owners and offer their insights and feedback on the platform. The group of women users who tested the platform represents a wide array of experience and skill, as well as diverse personal and professional backgrounds. These entrepreneurs operate a variety of small businesses, including catering, financial planning, apparel and handbags, and event planning. Participating in the portal testing also helped them to discover how its online features support their individual business development goals. As part of the broader Women Entrepreneurs NYC (WE NYC) initiative, the WE NYC Portal will help reduce New York City’s gender gap in entrepreneurship by empowering underserved women to reach their full economic potential by providing high quality and curated information to help them grow their businesses. These resources help women access mentors, networks, courses, training, inspiration and broader community of women entrepreneurs.